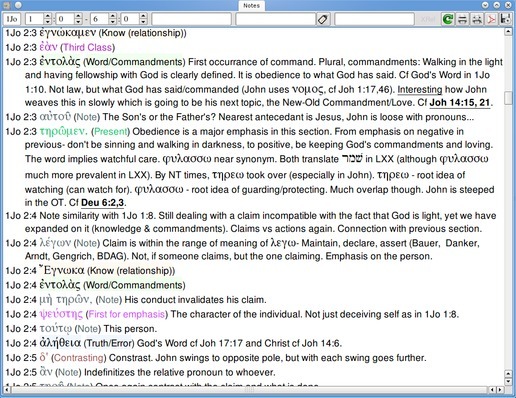 Communicate the relationships between various words, phrases, and constructions by marking your Bible with lines and arcs. 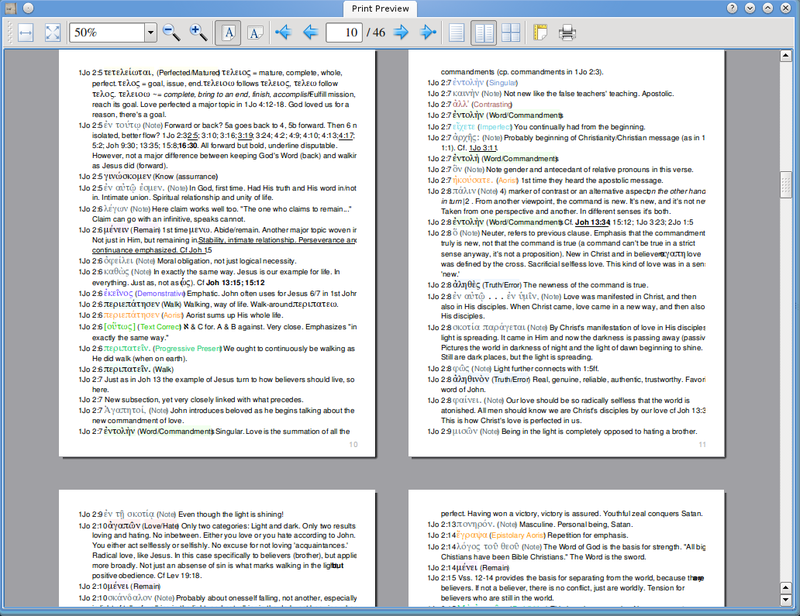 You can put notes under words, or in the margins. 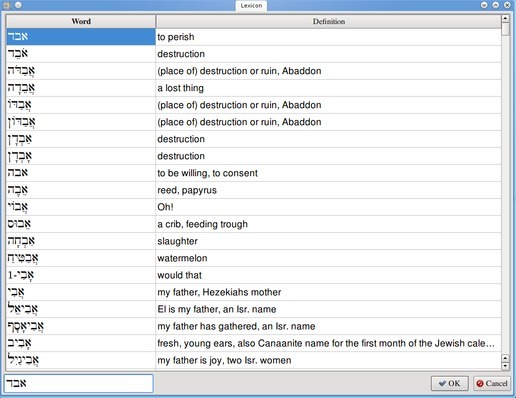 ScrollTag allows you to print all of your notes on words sequentially, right under the verse they occur in. You can turn these off or on at the push of a button. Drag words or phrases around simply by clicking on them to create block diagrams. 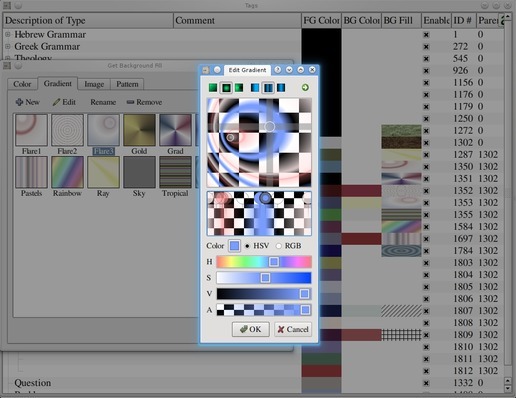 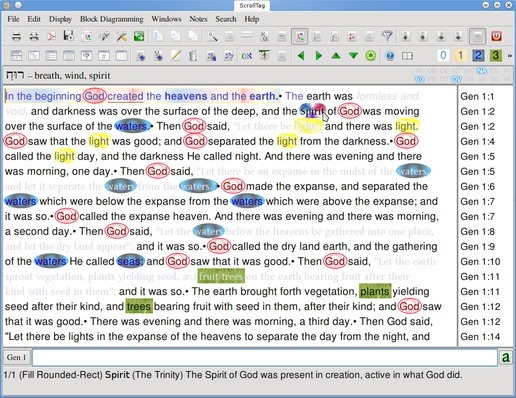 Use a variety of colors, shapes, gradients, icons, or pictures to mark up the text. 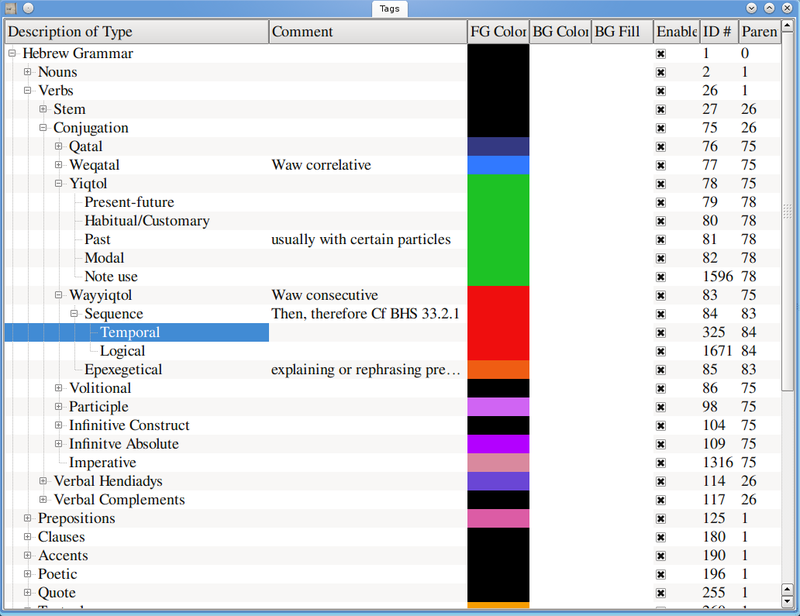 Search for various words or grammatical constructions and have them colored for you to easily find what you are looking for. 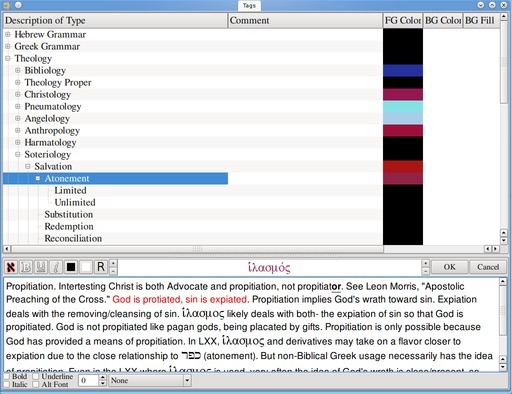 Create filters to highlight words or grammatical constructions in whatever passage you are in. 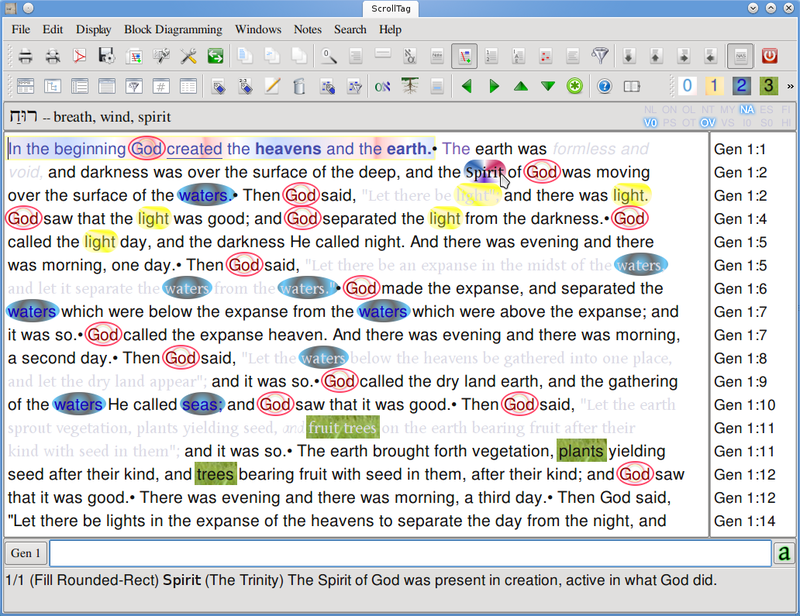 Turn on highlighting to have the same root highlighted in your passage. 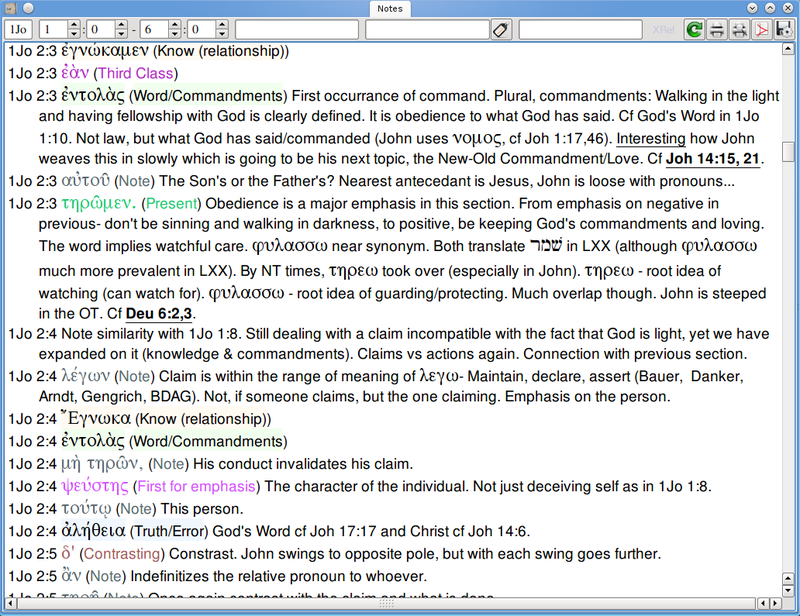 Display all of your notes either from a certain passage, or meeting various search criteria. 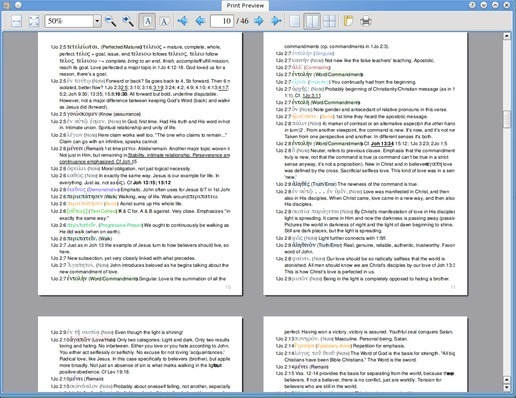 Print up all of your notes to your printer, or export to PDF. 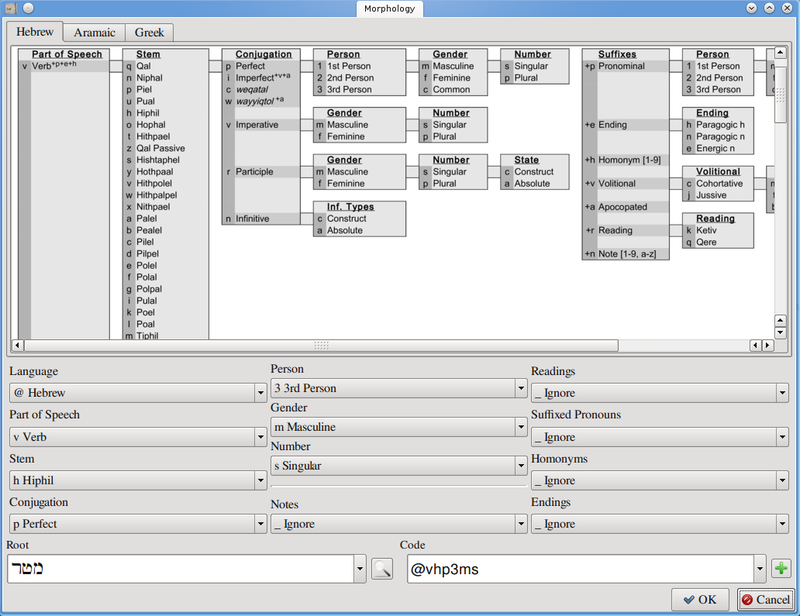 Browse or edit your tag library where your tags are organized. 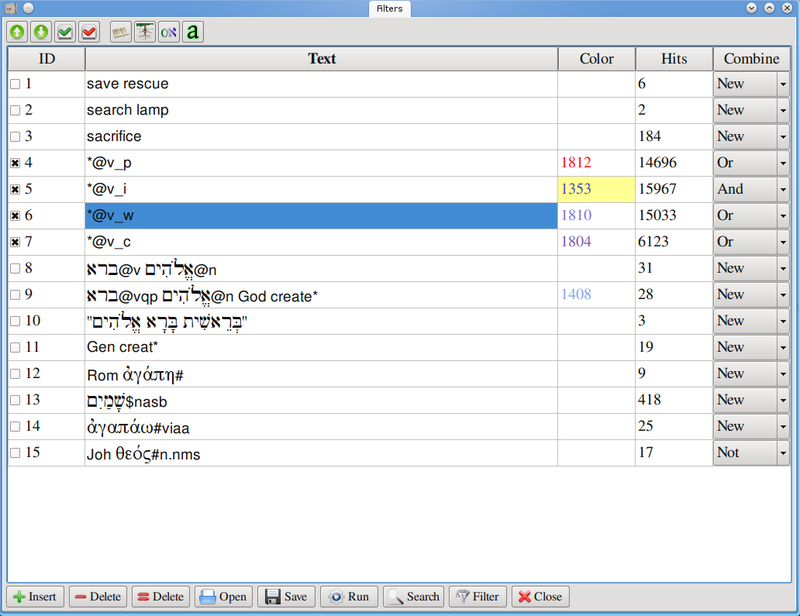 Change the appearance of your tags so that each one is distinct. 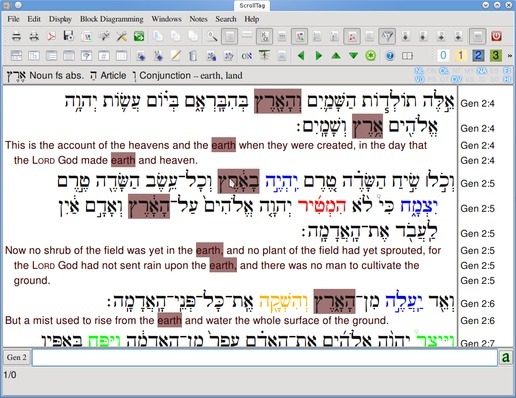 Edit your note text and pick how that note should be tagged. 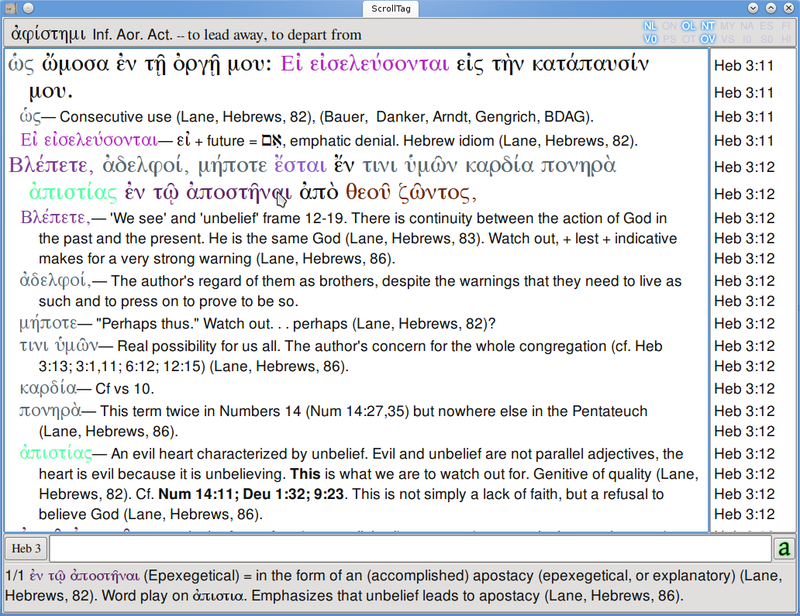 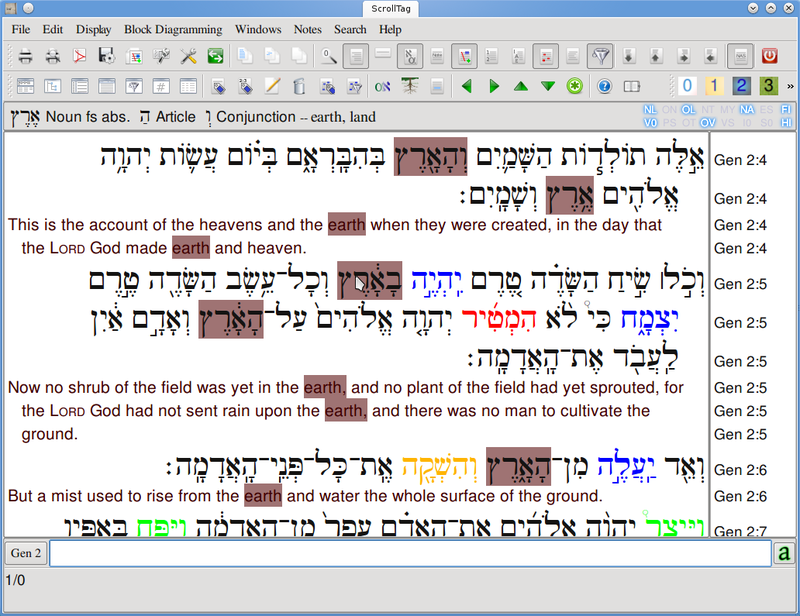 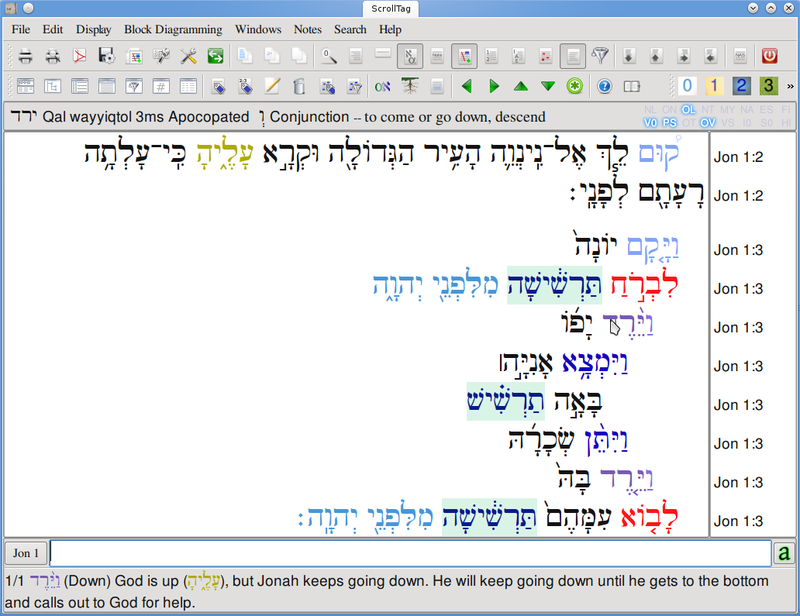 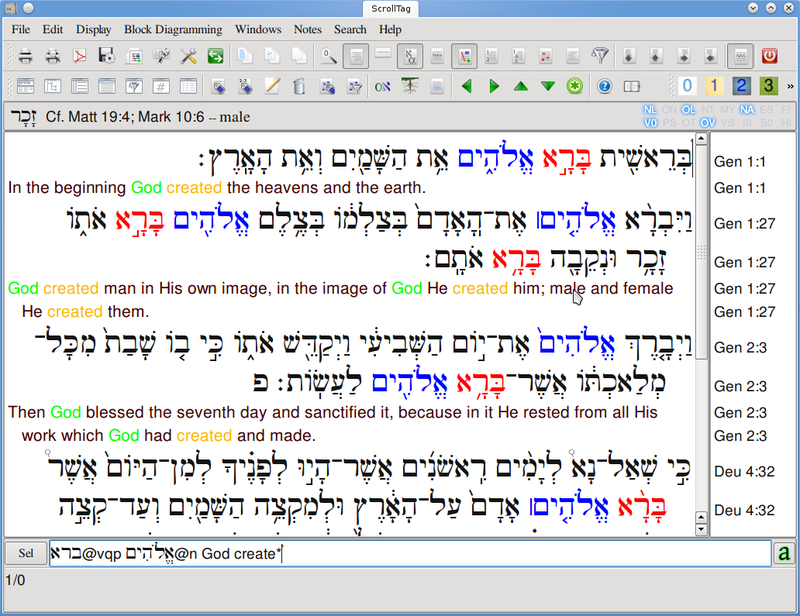 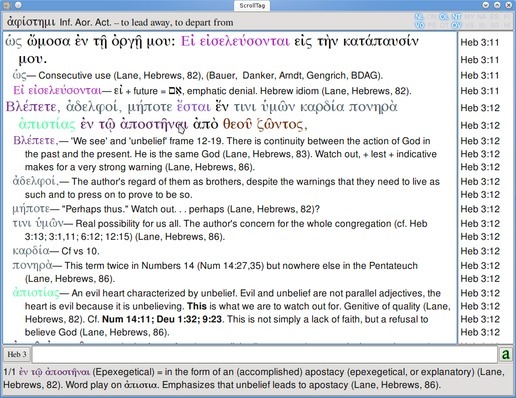 Include Hebrew and Greek text in your notes as well as other formatting. 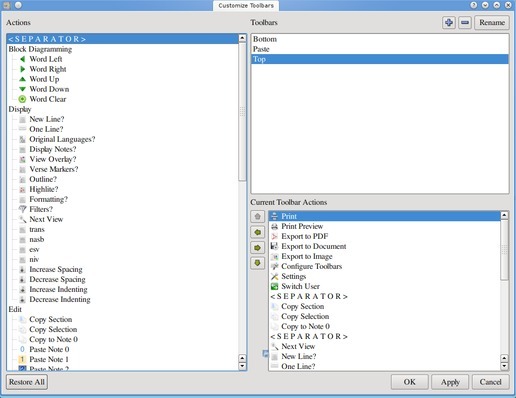 Create and manage your searches and filters. 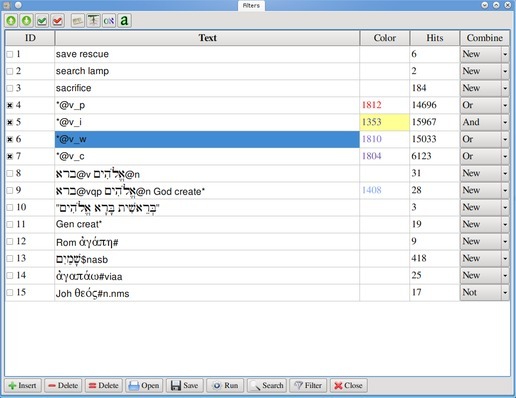 Run various searches and filters in combination with each other. 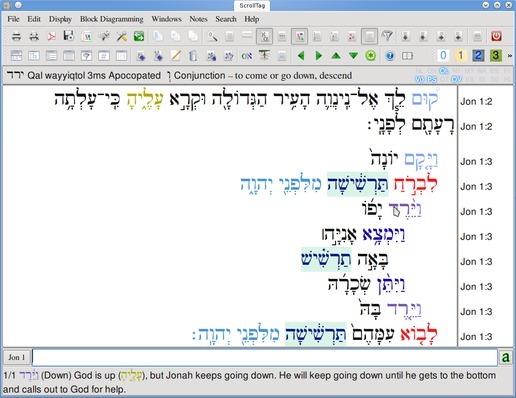 Do advanced searches on Hebrew and Greek word forms. 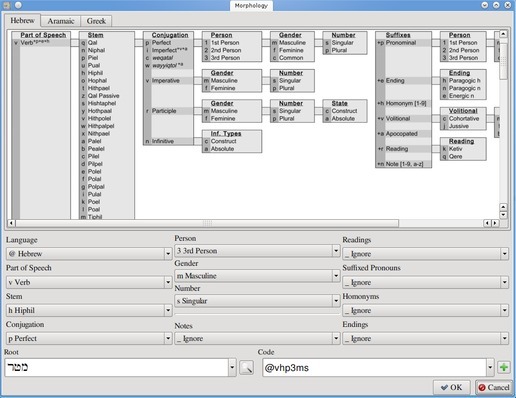 This window helps you create your complex search. 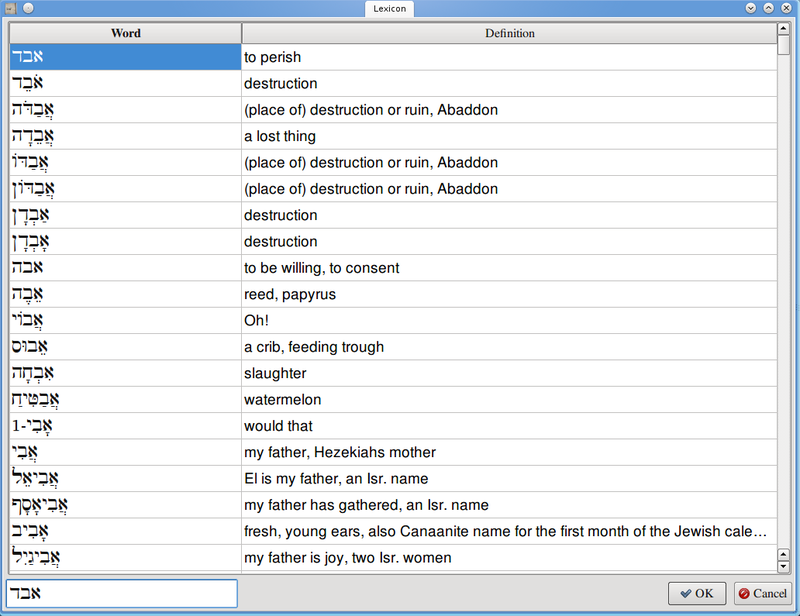 Lookup quick definitions to Hebrew and Greek words. Edit the appearance of various graphics for your tags. 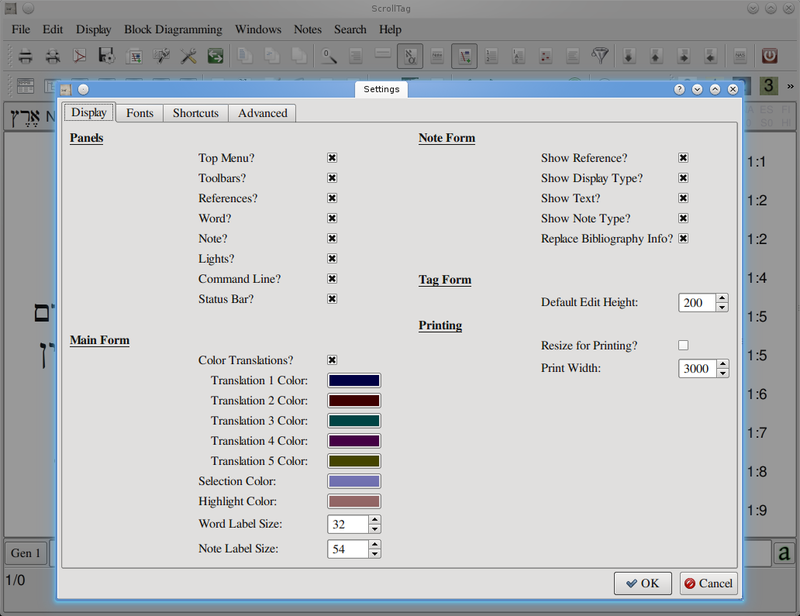 Configure settings to fit your style with a wide variety of options. Configure your toolbar to contain your most frequently used actions.